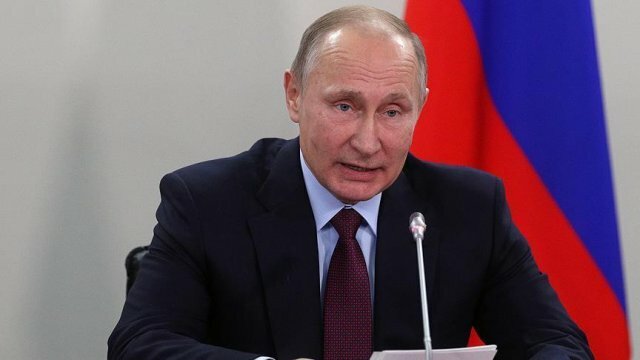 Russian President Vladimir Putin said Thursday that it was not Turks who attacked Russia’s bases in Syria this week, according to local media reports. On Monday, Russia averted an attack by 13 drones on its Syrian installations -- 10 attacking its Khmeimim air base and three of them on the Tartus naval base -- according to Russia’s Defense Ministry. The attacks in Syria were provocations aimed at undermining Russia’s relations with its partners, including Turkey, Putin told reporters in Moscow, according to Russia’s Sputnik news agency. Putin also said that he and Turkish President Recep Tayyip Erdogan had spoken on the phone about the incident. "There were some provocateurs, but they were not Turks,” Putin was quoted as saying by Russia’s official news agency TASS. On Dec. 11, Putin ordered the start of a withdrawal of Russian troops from Syria, adding that the Tartus and Khmeimim bases would still be in use.